FLEXIBLE LEARNING Even if you study externally with a blended or online study mode, our teachers are readily available to provide support: face-to-face at one of our locations or via telephone, email or videoconferencing. WE MAKE GREAT HAPPEN! 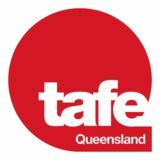 TAFE Queensland has a proud history of training built on more than 130 years of experience. We deliver innovative options for both students and employers. LEARN FROM THE BEST Our teachers are industry professionals, bursting with practical knowledge. Our teachers are what set TAFE Queensland apart from the rest with years of experience students can tap into. REAL WORLD SKILLS Our students build practical skills in real-world environments. Our facilities replicate industry standards to ensure students hit the ground running when they land their first job. WEâ&#x20AC;&#x2122;RE PART OF THE LOCAL COMMUNITY Our locations are easy to access and we know the local employers and the opportunities available for students. OUR GRADUATES GET JOBS Nearly 90% of our students go on to employment or further study within six months of graduating. blog.tafeeast the success stories of MAKE the Blog shares East Coast students, our TAFE Queensland graduates and staff. PAY THE TOTAL AMOUNT If you’re not eligible for a subsidy or concession we have options for you. VET Student Loans (VSL) gives eligible students access to quality higher level VET qualifications. Visit the Study Assist website at studyassist.gov.au for more information prior to enrolment. If you are eligible, you will be able to apply for VSL up to the capped amount. Some course fees are above the loan cap. If you have already been receiving VET FEE-HELP you may continue to receive it while you complete your course in 2017. Please contact VETStudentLoans@education.gov.au for more information. PAYMENT PLANS You may be eligible to apply for a Payment Plan. Please contact Student Services on 1300 656 188. CERTIFICATE 3 GUARANTEE If eligible you will receive subsidised training for one certificate III level qualification from a list of eligible courses. PAY A PORTION The Queensland Government will offset the cost of study for people who don’t currently have a qualification. Evidence of subsidy eligibility is required at time of enrolment. FEE-FREE TRAINING FOR YEAR 12 GRADUATES Are you a Queensland resident? Have you just finished year 12? You might be eligible for Fee-Free training. The Queensland Government will pay the full cost of a number of eligible certificate III qualifications in high-priority study areas under the certificate III Guarantee and User Choice programs. HIGHER LEVEL SKILLS SUBSIDY (HLS) This initiative is a one-off subsidy that offsets the cost of a certificate IV or higher course. Students will need to co-contribute to the payment of the course. The level of government subsidy depends on the demand for workers in your chosen field. Eligibility criteria does apply. FEE CONCESSION Eligible students are entitled to a fee concession on Queensland Government funded programs. For more information or to find out if you meet the criteria visit tafeeastcoast.edu.au. HOW TO ENROL NOW IT IS TIME TO GET STARTED! JUST FOLLOW THE EASY STEPS BELOW. Choose your course and make sure you fully understand the program details and fees and you meet the entry requirements. 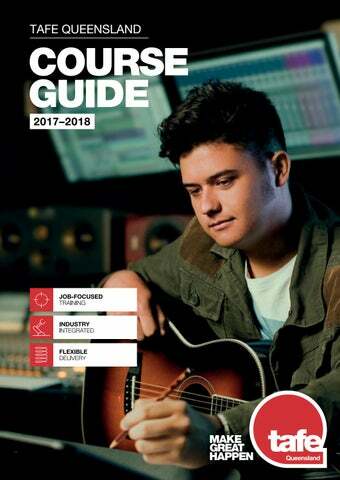 Read the ‘how to apply’ section in the course information on our website to see you if can enrol directly or if you need to apply through the Queensland Tertiary Admissions Centre (QTAC). Register and enrol by: • visiting our website at tafeeastcoast.edu.au • phoning Student Services on 1300 656 188 or • visiting Student Services on campus^. UNIQUE STUDENT IDENTIFIER (USI) You will need a USI prior to enrolling in your course. To create your USI, go to www.usi.gov.au. If you need help, our Student Services team can assist prior to your enrolment. Your USI will help keep your training records and results together in an online account controlled by you. *For some of our courses you will need to apply directly to Queensland Tertiary Admission Centre (QTAC) at the qtac.edu.au website. If your application to enrol is successful you will receive an acceptance letter and email. Closing dates and timelines are outlined on the QTAC website. ^ Please note, there is no Student Services at SCHI. HELP IS AT HAND We offer a range of support services for students, with a strong focus on learning and educational assistance to enable successful completion of your studies. For assistance with in-class activities please speak with your teacher in the first instance. For other support, including career or course advice, please contact Student Services and we will help you to explore the range of options available to best suit your needs. Full time This option is perfect if you’re ready to jump in and give your studies everything you’ve got! Studying full time at TAFE Queensland is the quickest and most immersive way to get the qualifications you need. You’ll be job-ready in no time! Part time Is your life already in the fast lane? If you’re busy working or juggling family, we don’t mind if you only want to hang with us part time. We’ll still give you everything you need to get fully qualified. Short courses If you’re looking for a brief fling, one of our short courses will satisfy your appetite. Experiment with a new hobby, up-skill for work, learn an exotic language or test the waters for a career change. No matter what you’re looking for, we’ve got you covered. Studying online gives you access to TAFE Queensland’s huge range of resources with the added bonus of learning in your pyjamas! Take your career to the next level with an online course you can complete anywhere, anytime. Blended If you want a qualification but don’t know how to fit studying into your busy life, TAFE Queensland will bend over backwards to give you a blend of different learning options. Combine online study with a bit of face-to-face, or even workplace training, at a pace that suits you. Check out our website or contact our friendly Student Services team on 1300 656 188. Apprenticeship/	Traineeship Get the skills while you pay the bills with an apprenticeship or traineeship through TAFE Queensland. We work with employers from a range of industries to give you the tuition and formal qualification that complements your on-the-job training. Recognition of Prior Learning (RPL) helps you gain credit towards a qualification based on the skills you already have. * Students have the option to apply for the Bachelor of Social Science through USC, 3 year duration (1 year at TAFE and 2 years at USC). Applications are lodged through the QTAC website. FEE-FREE * TRAINING FOR ELIGIBLE YEAR 12 GRADUATES Find out which courses are FEE-FREE in 2017. Available to students who graduated year 12 in Queensland in 2016. RTO 0418 *Eligibility requirements apply— check training.qld.gov.au for details. ^ Duration listed does not apply to Apprenticeships or Traineeships * When studying the Diploma of Sport Development you can choose one of the following specialisations: fitness, golf, surfing or sports and outdoor recreation. * Students have the option to apply for the Bachelor of Business through USC, 3 year duration (1 year at TAFE and 2 years at USC). Applications are lodged through the QTAC website. ** Online commences four times per year (Jan, Apr, July and Oct). Face-to-face classes at Mooloolaba commence in February. We know that you have a busy schedule and need to hit the ground running, so from the minute you enrol, right through to completion, TAFE Queensland Online offers fully supported, flexible study options, to help you achieve your goal. DO UNI DIFFERENTLY UNIVERSITY PARTNERSHIPS At TAFE Queensland, WE DO UNI DIFFERENTLY. Our Partnership with the University of Canberra means you will graduate with a prestigious university degree, along with the hands on skills of a TAFE qualification, delivered in a practical, job-focused training environment. Our students get the best of both worlds: the theoretical side of a university degree, with the applied learning style that makes TAFE Queensland graduates so highly sought after by employers. Apply today to make great happen. Visit degrees.tafeqld.edu.au today to find out more. RTO ID: 0418 | CRICOS No: 02004B Disclaimer: All information was accurate at time of publication (May 2017); however, TAFE Queensland policies, tuition fees, competencies and course content is subject to change without notice. Course commencement is dependent on sufficient enrolments, appropriate accreditation and registration requirements.Course fees are GST inclusive.